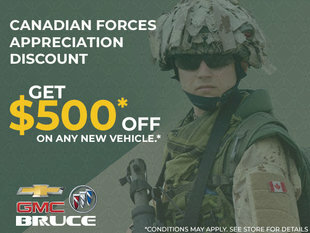 At Bruce GM in Middleton, our special offers are sure to turn heads. We're here to help you get the best deal you can find. Our team of specialised advisors are dedicated to answering any questions you may have when shopping for your new GM vehicle. Our special offers, which are available on most vehicles across our showroom, are designed to help you save money and get the car you want at a great price. 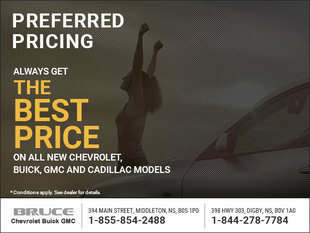 You’ll also find special offers on pre-owned General Motors vehicles at Bruce GM in Middleton. 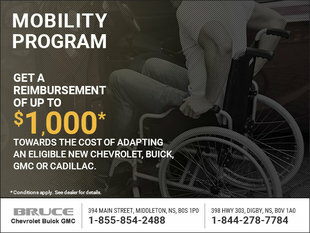 If you’re in the market for a pre-owned GM vehicle, we’ve got special offers that you won’t be able to turn down. Not only do our special offers apply to new and pre-owned GM vehicles, we’ve got special offers on our services too. Whether you’re servicing your vehicle or looking for genuine GM parts and accessories, our team of advisors are here to help. 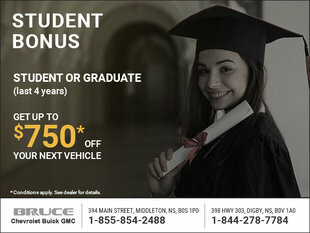 Visit us at Bruce GM in Middleton to check out our special offers and save on a Chevrolet, Buick, or GMC today.